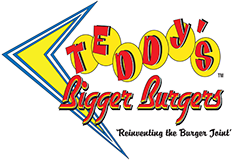 A warm and joyful Teddy’s Bigger Burgers thank you to Jaqueline! Jaqueline sent us a very touching and heart-warming letter that brought tears to the eyes of the Teddy’s Bigger Burgers family. Click on the links below to read her kind and thoughtful words!